Stories of your customers on their journey, and how they build or break relationships with companies like yours. 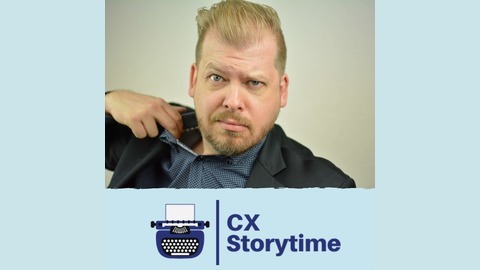 Host Russel Lolacher shares real customer experience case studies in a 1950s radio drama narration style with modern tips and analysis. Born from The Upsell.com Blog, The CX Storytime Podcast: Tales from the Customer Journey presents true customers' stories including the impacts of their customer experiences, followed by valuable strategies on engagement and retention to help you get ahead in building your online business or enhancing your brick and mortar store. Discover how the customer service experience is an emotional experience for your new, current and future customers and the steps you can take or the ideas you can think about to establish trust and long-term relationships by better serving your customers and your bottom line. 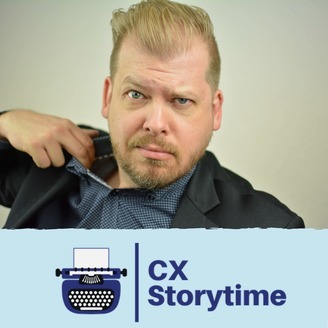 Russel is a customer communications advocate and believes whether you are serving in store, over the counter, on Twitter, Facebook, Instagram, and social media, through podcasting, books and ebooks, online courses or any other point in a customer journey, communicating and connect with humanity is key.